For those of you who are new to this venture, let me give you a quick update. 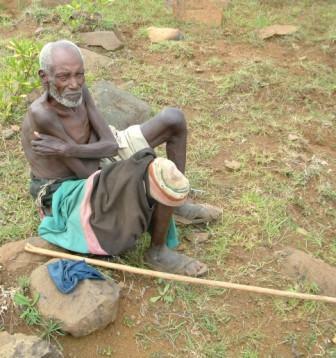 The Burji District lies in southern/southwestern Ethiopia, not far from the Kenyan border. (This is the area southwest of Lake Abaya on the map to your right.) The Burji tribe has a population of about 72,000 in Ethiopia, and many more thousands in Kenya. It is surrounded by the Guji, Amaro, Konso and other peoples. The District lies at the end of a mountain range; its terrain is a mixture of mountains, valleys and rolling areas. Almost 100 percent of the people are simple farmers; there are also a few government workers (teachers, etc) as well as business owners (small shops, etc.). These farmers are 100 percent dependent upon natural rainfall, so they often suffer from drought, pestilence, and agricultural diseases. Getting to the Burji area from the capital (Addis Ababa, the star on the map) is a long 15-17 hour drive; most of this drive is on 2-lane asphalt, but the last few hours are by gravel or dirt road. Burji has one main town, Soyama. This is the location of government offices, the only high school, and the government clinic. It also is the only place where electricity, phone, and email service is available, thanks to the Chinese who brought it about 2 years ago. There are no paved roads in the Burji District. It is dotted with small towns of about 30-50 homes; most people live out in the country in simple round mud huts with thatched roofs. In the highlands the people get their water from springs; in the valleys they go to rivers; very few wells exist. Walking across the Soyama market area. A typical shop in Soyama Town. 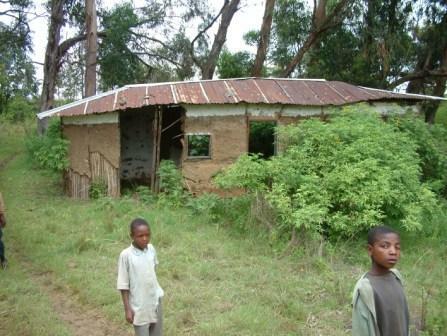 A typical rural home in the Burji district. A road and spring in the Burji mountains. Road and town in the Burji valley. The Gospel came to this area about 1955-1960 by pioneer missionaries Alex and Theresa Fellows. A mission station was built consisting of a Bible school, a medical clinic, and an elementary school. Prior to the arrival of the Gospel and these missionaries, the religion of the people was animism/African superstition/witchdoctor worship. Today there are still many people following this religion, but most follow Islam; about 30 percent follow Christ Jesus as Savior and Lord. Most of the Christians live in the mountains; most of the Muslims live in the valleys. Our work today steps on the heels of those who were faithful in the past. Praise God for their sacrificial lives! 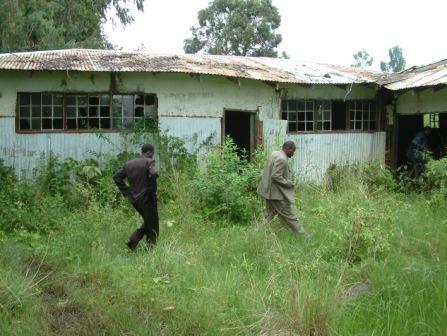 Remains of the missionary clinic from the 1960s. 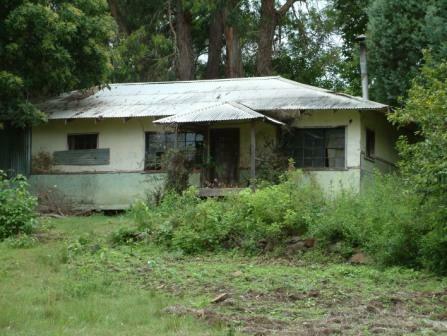 Remains of my childhood home. Remains of my father's elementary school. 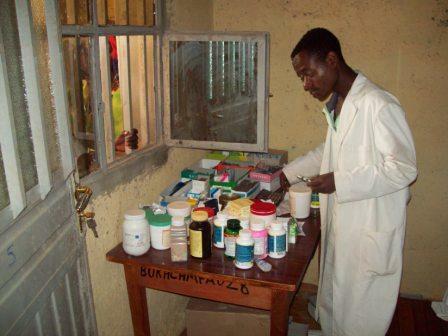 Twenty-five years ago a Canadian charity funded the establishment of a clinic at Galana village in Burji. The clinic was under the management of the central KHC denominational office in Addis Ababa. At that time, the clinic was well-developed, with full lab, ambulance, good staffing, etc. 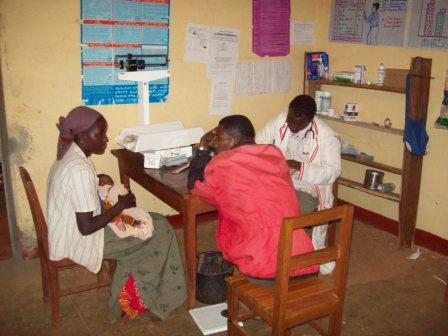 It had a good reputation and people came from all over the area to receive care at Galana clinic. However, after the funding ceased about 15 years ago, the central office did not find an additional source of funding, so the clinic lay vacant. The local Burji churches hired a junior nurse to try to keep some service going, but the buildings fell into disrepair, and eventually the license was lost. 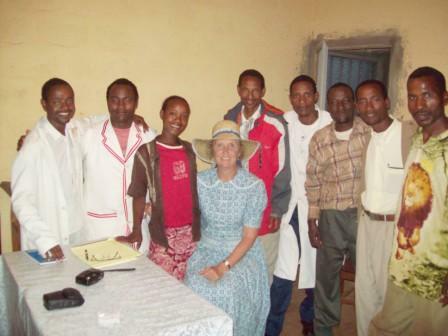 From the beginning of our relationship with the Burji churches (2004), the leaders have been begging us to help them get the clinic going again. We were very hesitant to become involved in structured medical work – the logistics, personnel issues, supplies, funding – everything is challenging in medical work. We preferred to continue to do “unstructured” medical assistance through distributing eyeglasses, prenatal vitamins, protein bars, casual medical counsel, sponsoring unusually needy situations, hygiene/nutrition workshops, etc. But after the first Team from Bethel Hill Baptist Church came to visit Burji, we were encouraged by them to start the clinic back up again. So it was largely through the encouragement of other American believers that we have undertaken this huge work. Now we have formed a Clinic Coalition of churches that have taken this work on in a special way, and we seek their counsel in decisions. 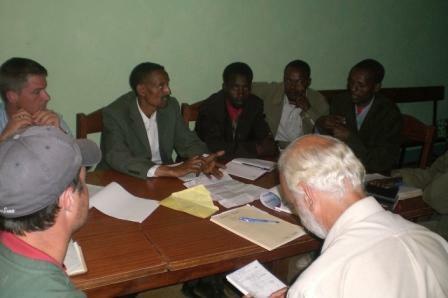 Praise God for the mutual encouragement of the brethren and for the vision of the local Burji leaders! A man dying in the mountains. 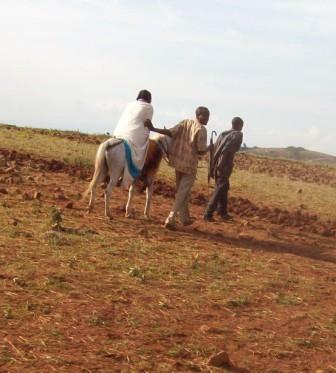 A sick woman being taken on horseback to the clinic. A boy dying from a brain tumor. Discussion about restarting the clinic. Currently, we have a license as a “medium” clinic. We are staffed with a chaplain, a “senior” nurse, a “junior” nurse, an accountant, a pharmacist, 2 guards, and a janitor. (We are looking for a lab tech as well.) All of these positions are “full time.” Combined salaries are about $8,000/yr. Clinic hours are 8:30-12:30 and 1:30-5:30, Mon-Fri, with emergency services provided on weekends and evenings. A nurse and the pharmacist are always on the compound. We have simple housing for the professional staff; each person has a room about 10’X14’; they all cook together in a separate kitchen room, and they share an outside pit toilet. Their living quarters are about 50 feet from the clinic. The clinic building has 7 rooms: laboratory, observation/delivery room, pharmacy, exam room, treatment room, injection room, and registration room. The front of the clinic has a long porch for waiting patients, and we have just completed a separate waiting shelter. Hanging a blackboard with clinic announcements. People waiting for medical care. The primary purpose for the clinic is evangelism. Why is this? Because is it a known fact that spiritual issues are eternal, while physical issues are temporal. (See my essay, The Role of Humanitarian Aid in Building the Kingdom.) If spiritual issues are not prioritized, the person will simply go to hell a well person! We cannot do that injustice to them. Unlike many “religious” clinics, we do not require anyone to embrace Jesus Christ as Savior, or follow Him in their lives, but we are diligent to tell them the story of Jesus, so that they can know the option they have in Him. In the first three months of operation, 15 people chose to follow the Savior! 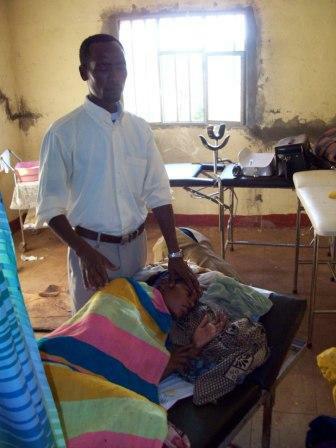 Our chaplain Solomon is diligent to present the Savior at the clinic. He speaks to them as they are waiting, he plays Christian music over the loudspeaker, and he visits them in their homes. And after their decision, he connects them with a local church near their home for follow-up in teaching and discipleship. Let me tell you one story that we witnessed while we were there in November. A young lady had declared Jesus as her Savior, but her brother had not. Someone cast a curse upon her brother, saying “If your sister does not reject Jesus, then you will die soon.” Imagine the strain on this young lady! Surrendering to the pressure of her parents and family, she renounced Jesus. Within days she herself became very, very sick. She was brought to the clinic with a high fever and active seizing. Her oxygenation level was only 67 percent. Immediately our nurses started IV fluids and gave her seizure medicines and antibiotics. Simultaneously, all the staff gathered to pray over her. But the matter was clear – apart from Jesus she would die! As the staff pled with her and her parents, they decided to come back to Jesus, surrendering their souls to Him and trusting Him to care for them. Over the next 2 days they continued prayer and medical care. She slept in the clinic observation room with her parents. And on the third day, she was discharged home; everyone was rejoicing that the Lord Jesus had shown mercy once again, and had taken back another of His wayward children. On the fourth day, Gezaheen (our senior nurse) and Solomon (our chaplain) visited her in her home. She was walking around, serving her visitors, and rejoicing in the Lord Jesus! And already the leaders of the local church had been to pray with her. This is a perfect example of the ministry that we envision for the clinic – joint spiritual and medical care, united clinic and church outreach. So you see that the spiritual work is done alongside the medical work. To help the staff in this spiritual ministry, the chaplain has devotions and prayer time for 20 minutes each day before the clinic opens at 8:30. And he prays publicly, dedicating the day’s work to the Lord for His glory. I cannot find words to express the great blessing that Chaplain Solomon is to me! Such a joyful, loving man – he is the perfect person for this work! The Burji church leaders were wise in choosing him for this work. 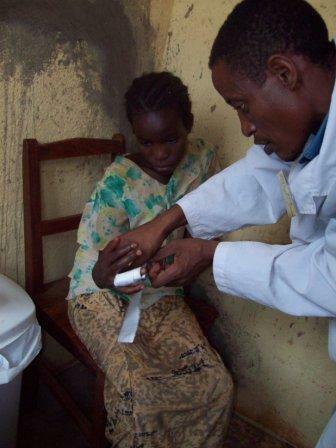 On the medical front, the primary diagnoses are infections, malaria, parasites, wounds, typhoid, seizures, and eye diseases. About 10 babies have been birthed at the clinic. Every Thursday morning we have special clinic for expectant mothers, so we expect this service to increase. Accidents/trauma/burns are also possible, especially as the war wages nearby. We took some much-needed medical equipment with us in November. Until our arrival, they were hard-pressed even to have a stethoscope. Now they enjoy a pulse oxymeter, fetal doppler, EKG machine, several digital blood pressure machines, digital thermometers, pediatric and infant stethoscopes, an assortment of orthopedic aids, and a resource library of 17 books. I wish you could have seen the eyes of Gezaheen (senior nurse) when I pulled out those library books! He told me that nowhere in Ethiopia do they have such libraries. We also brought some good laboratory equipment, including a microscope that can connect to a computer. With this machine, they can capture microscopic images and send them by email to specialists for consultation, or print large pictures for patient education, or send them with the patient in case of transfer to a hospital. Praise God for His grace to us, in providing people to donate supplies, and in arranging such easy access to these supplies through the internet! We live in a very blessed country to have all this available to us. Let us not take it for granted. Let us remember to thank the Lord for His grace to us in this way. Caring for a girl's wounded finger. These parents have brought their sick baby for care. By the grace of God and the diligence of two team members, we were able to install solar power at the clinic. With this came electricity to run lights inside, security lights outside, a refrigerator, a centrifuge, battery rechargers, etc. Talk about living in high cotton! Amazing! Praise God with us for this luxury! I wish you could have seen the clinic staff and the patients as this technology instantly raised their standard of living! Such a simple thing for us, and yet so profound in its results. How grateful I am to the Lord for providing Ed Johnson, a layman at Bethel Hill Baptist. God has given a measure of understanding of solar and electrical things, and he’s using that gift for the Lord’s Kingdom! How I wish all of us followed his example more. On the financial front, in the US account we have a current deficit of $2,562; this was caused by the customs fee of about $5,000 on the shipment of supplies. The fees charged for patient services are covering the replacement of medicines and supplies, and about one third of the salaries. Currently the clinic is serving about 24 patients/day, and each patient is paying about 35 birr/visit (that’s about 3 and a half cents in our money). Our goal is that the clinic be entirely self-supporting for operational expenses, and then we will cover only capital improvements. We have refurbished the walls, windows, and doors of all the compound buildings; we have replaced the gate; we have installed solar power and are currently working on a well. If God is willing, in May 09 a team will install indoor plumbing (3 sinks); currently we have wash stations in each room, using water that is brought by donkey from a distant well. 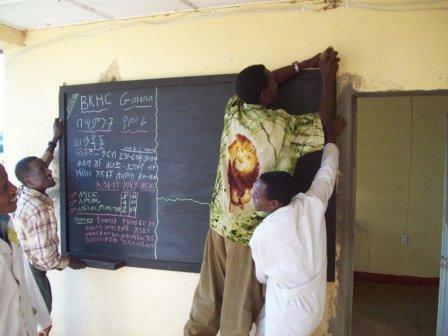 The bank account in Ethiopia covering these refurbishments is in good order. So, overall, we are very happy with the financial operations. Please pray for us to continue to keep good oversight and establish good cash flow records. And praise the Lord that He has made the dollars stretch to accomplish what is needed. Will you continue with us in prayer over this ministry? God is already doing miracles here. To Him goes all the glory!